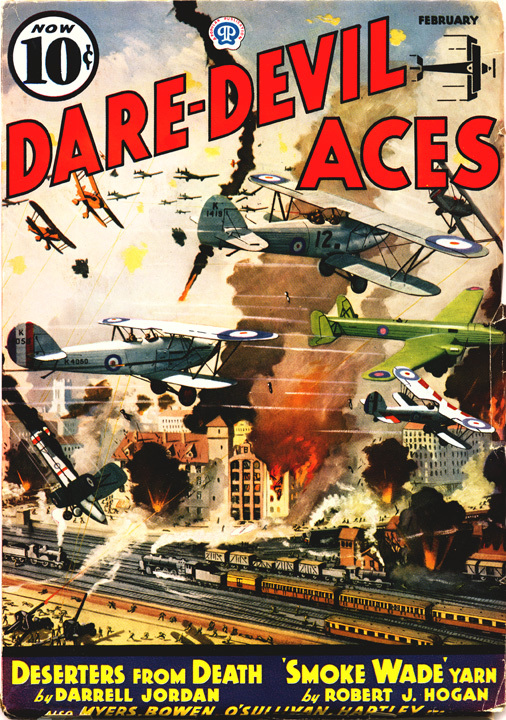 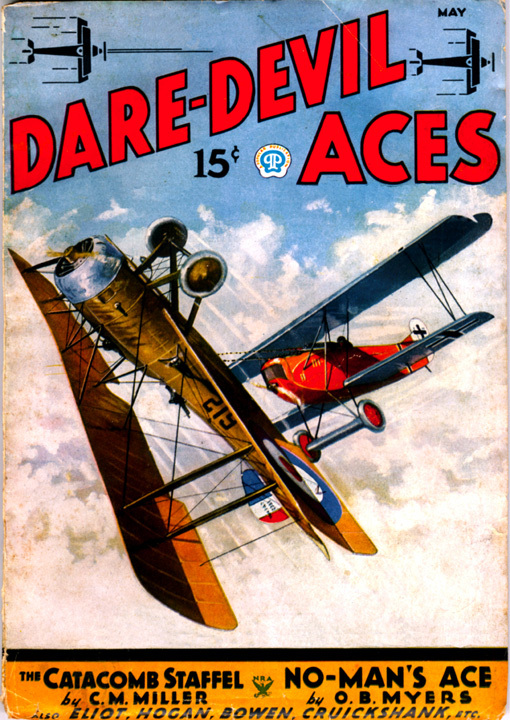 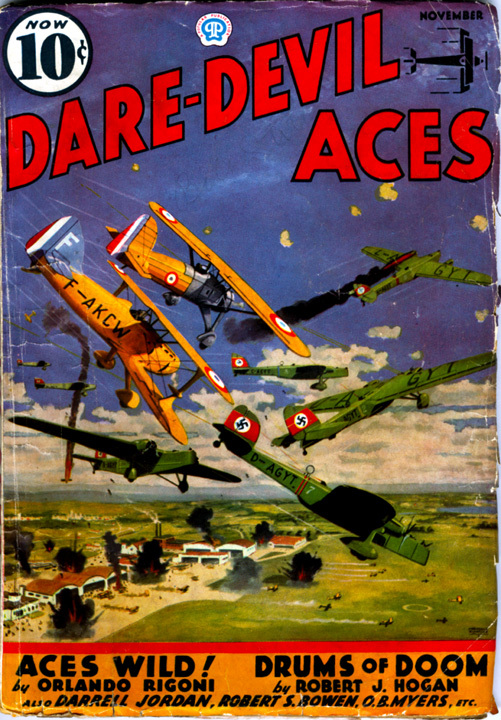 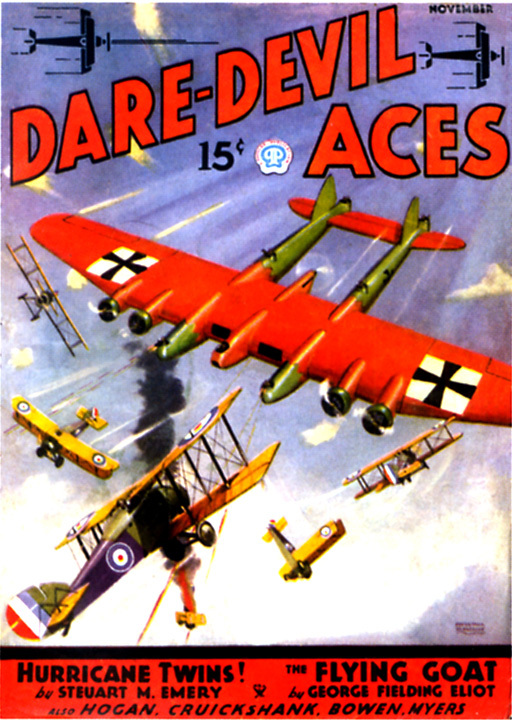 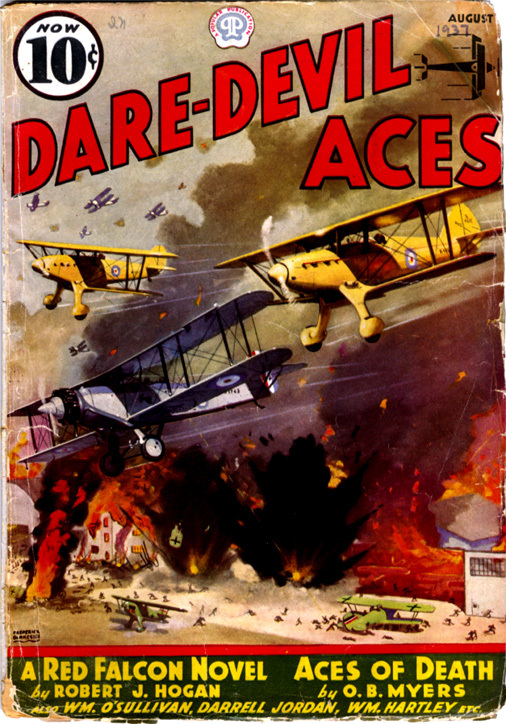 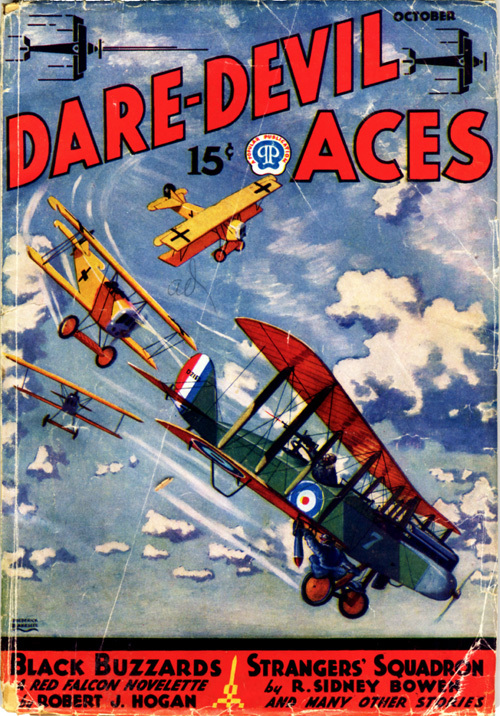 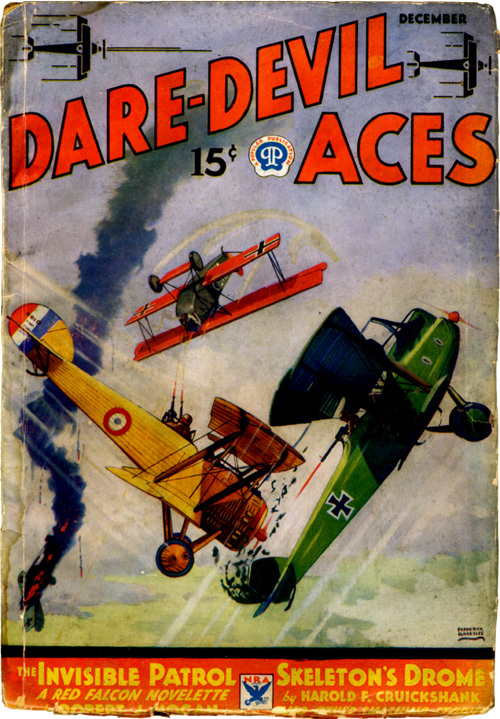 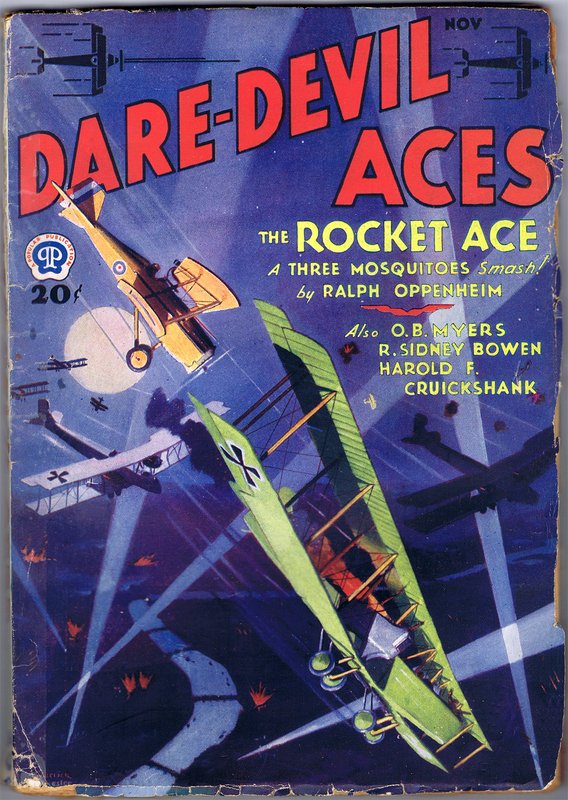 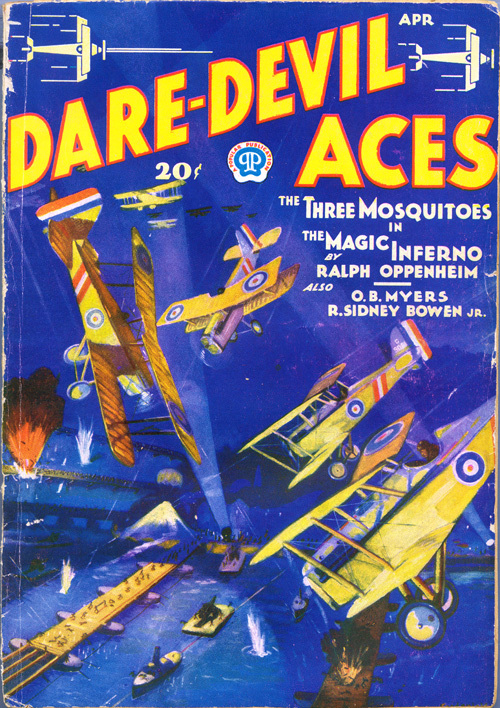 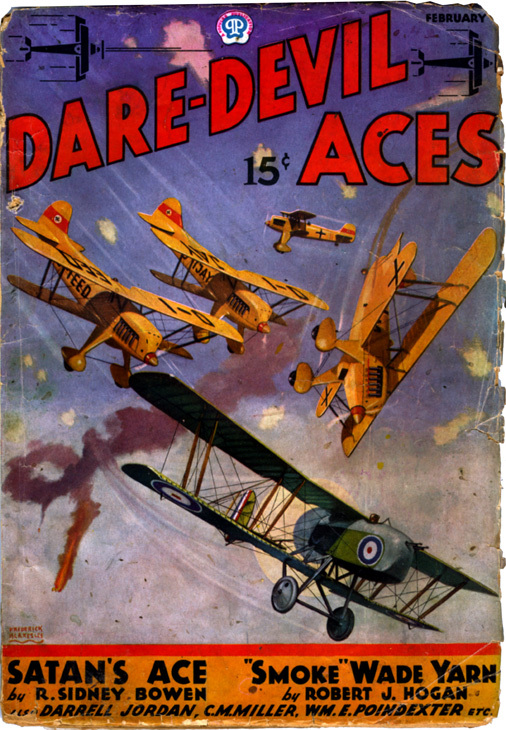 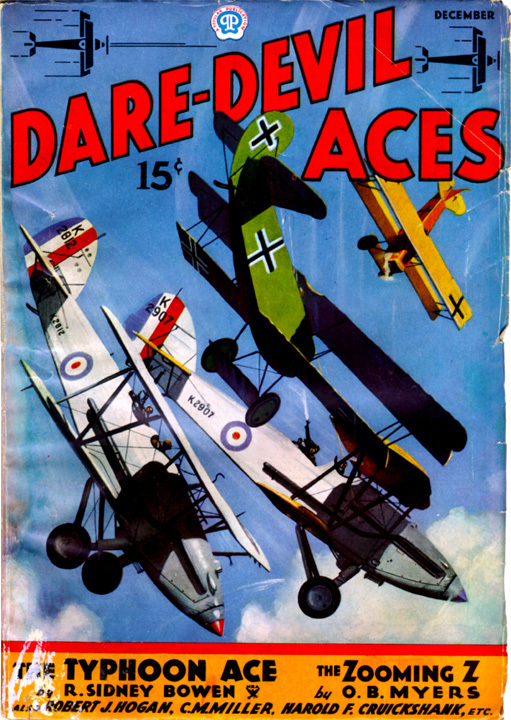 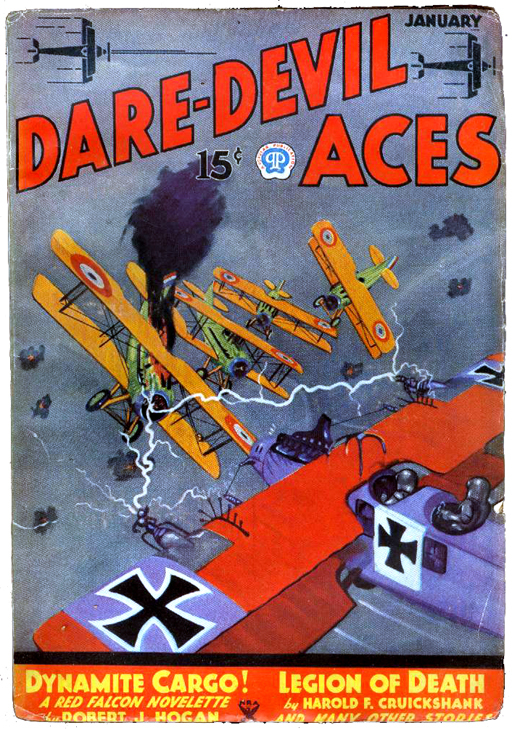 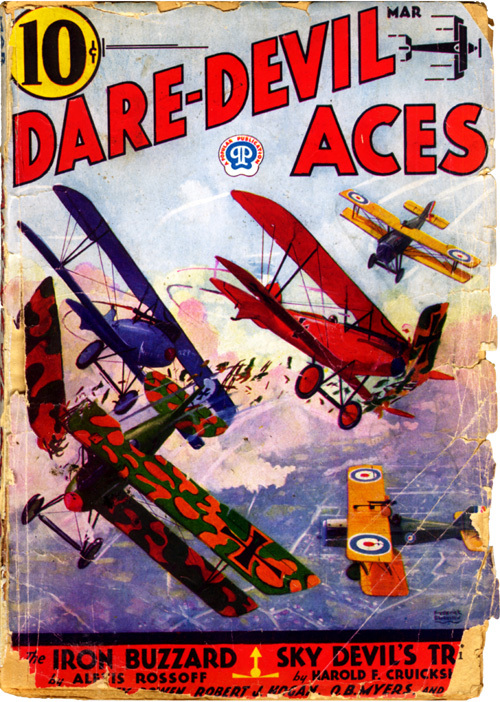 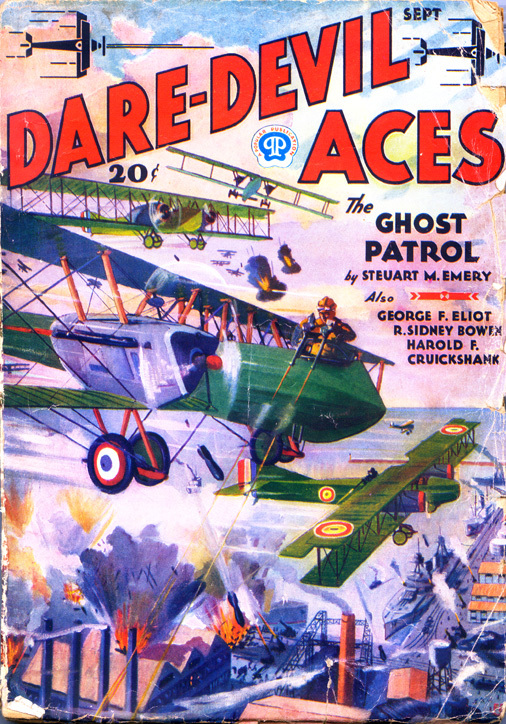 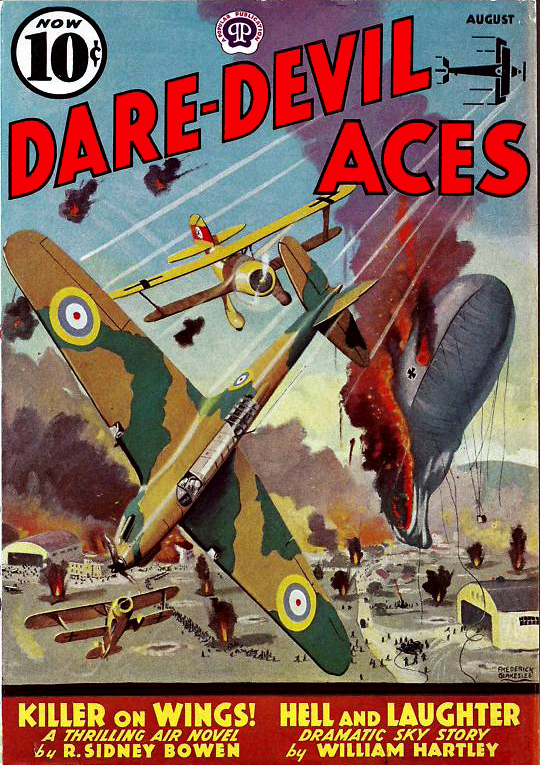 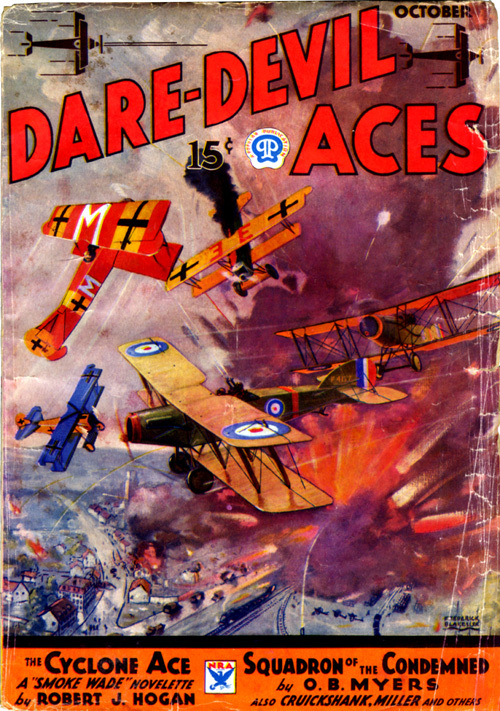 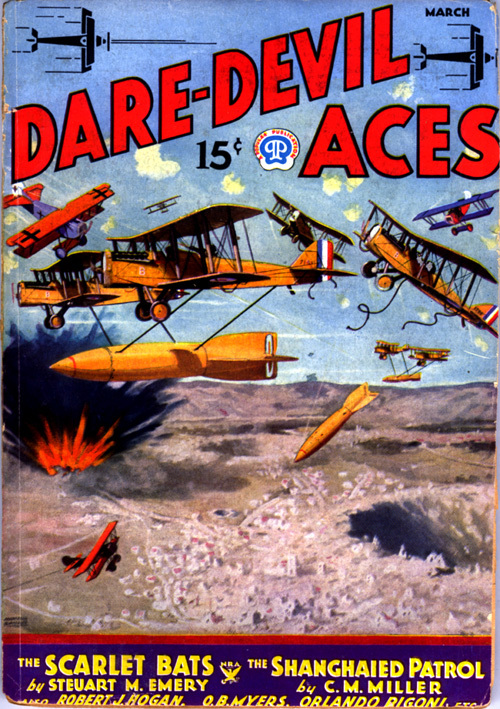 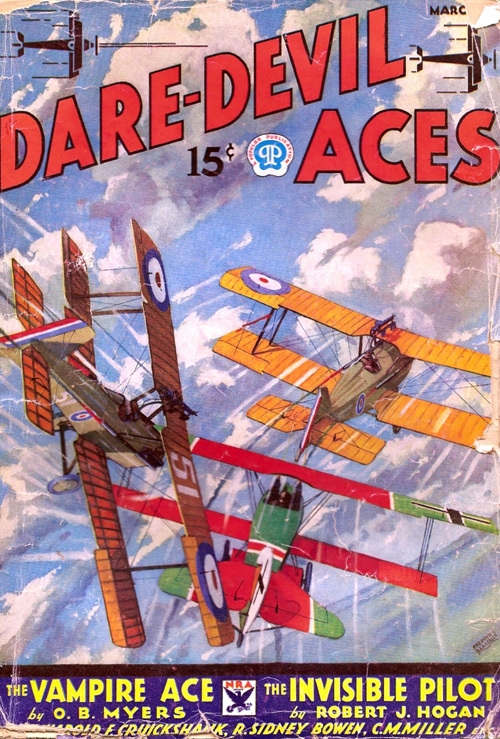 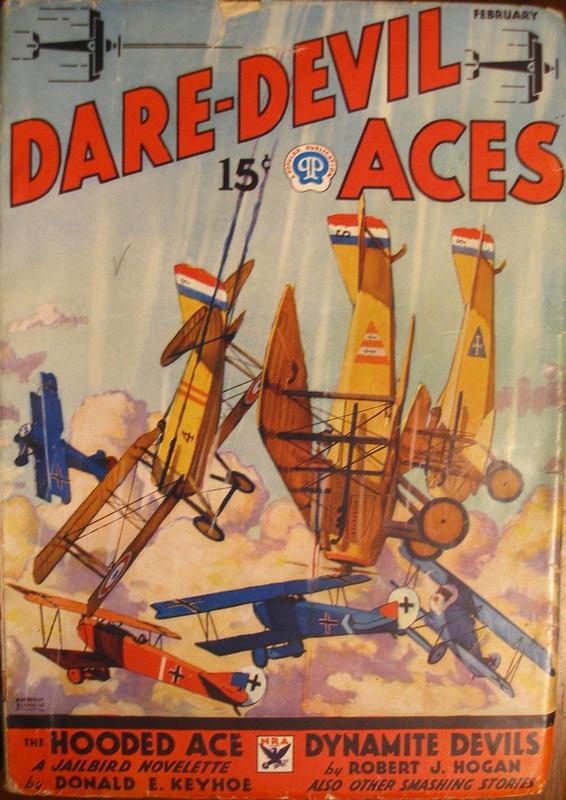 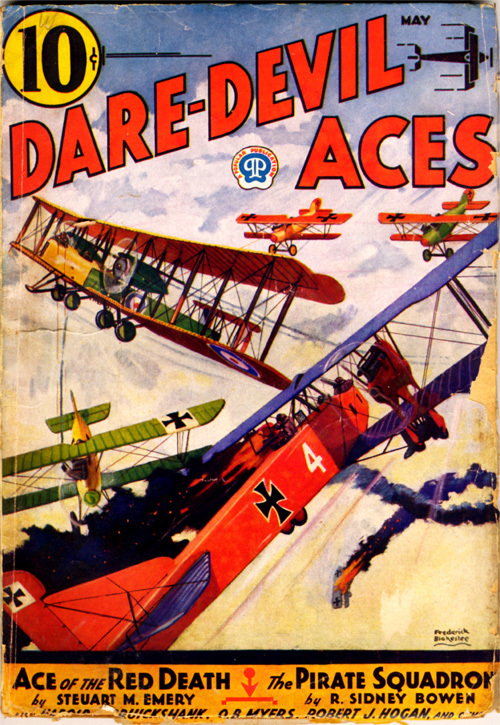 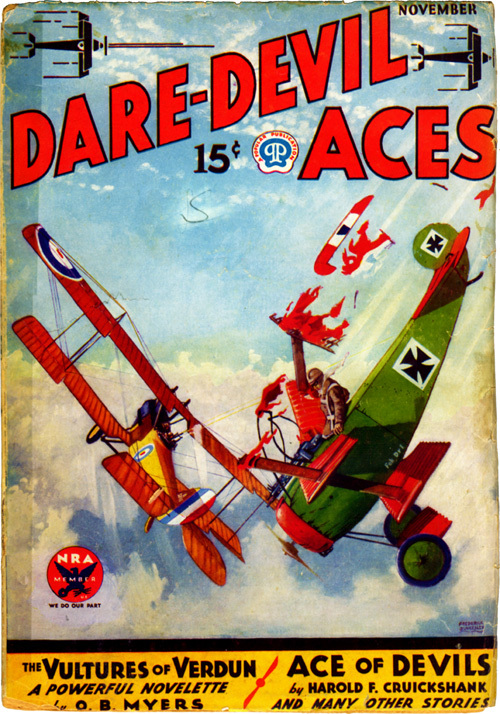 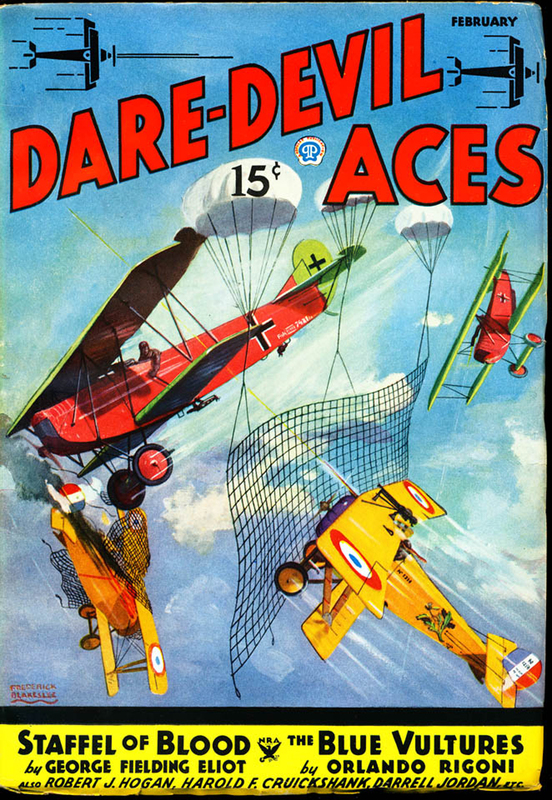 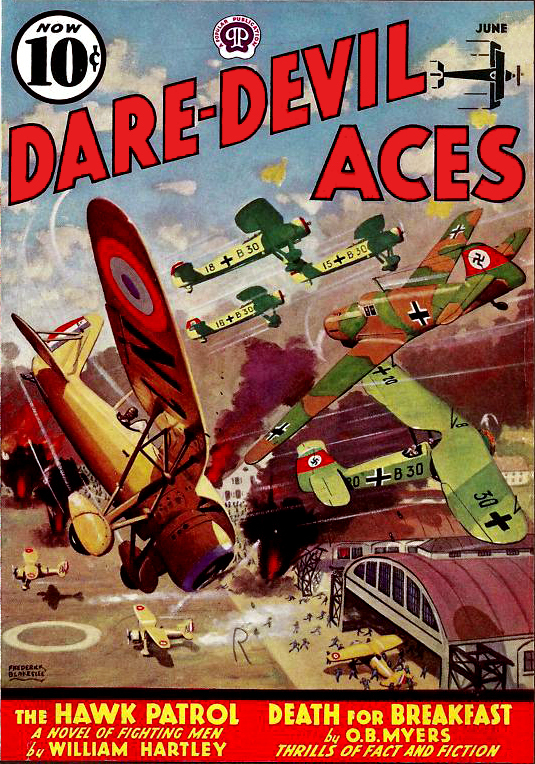 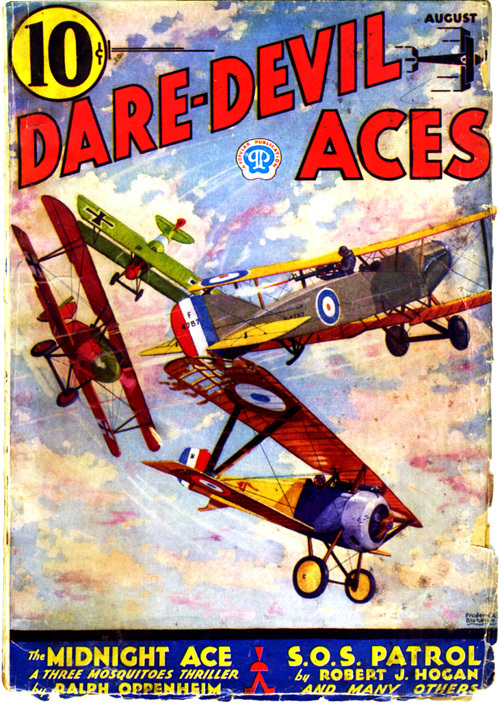 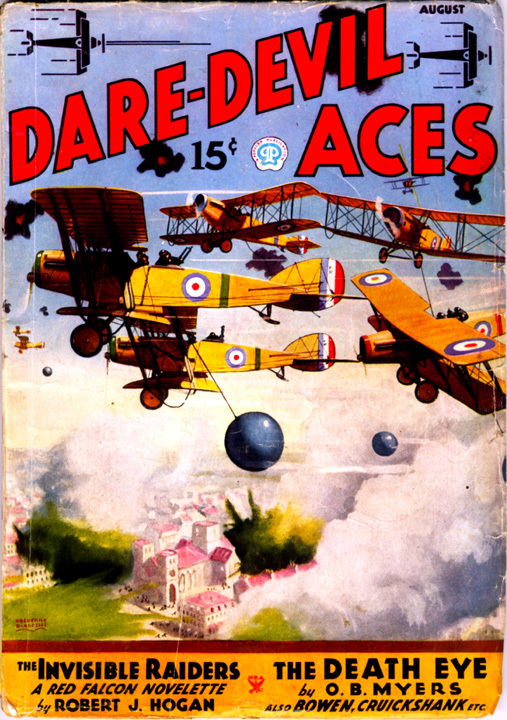 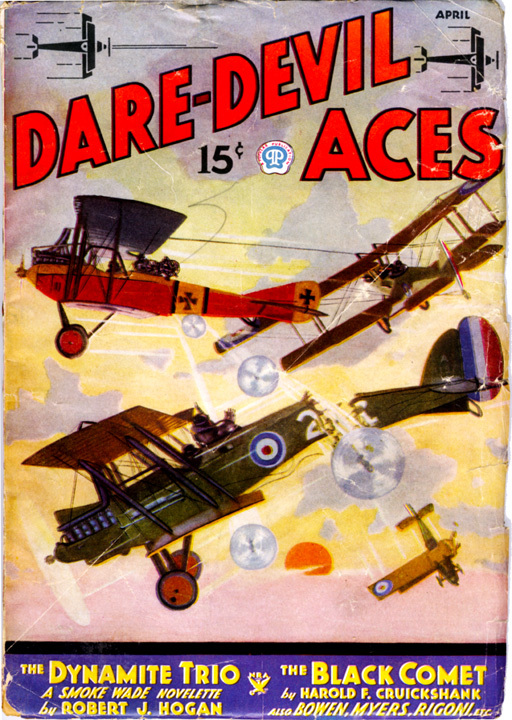 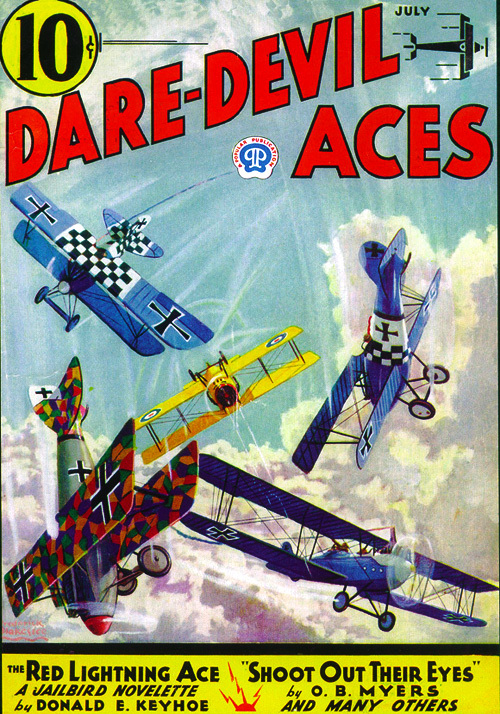 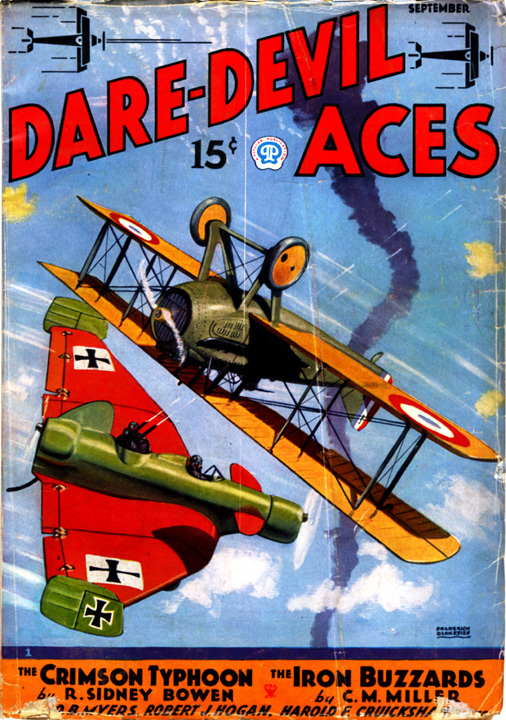 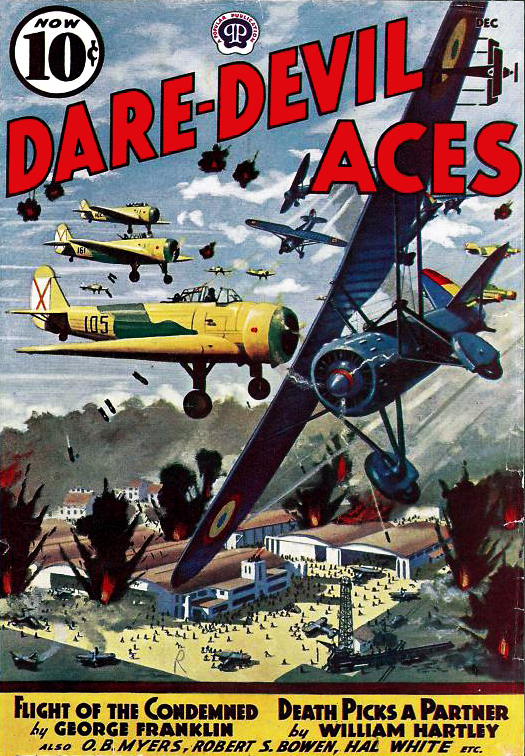 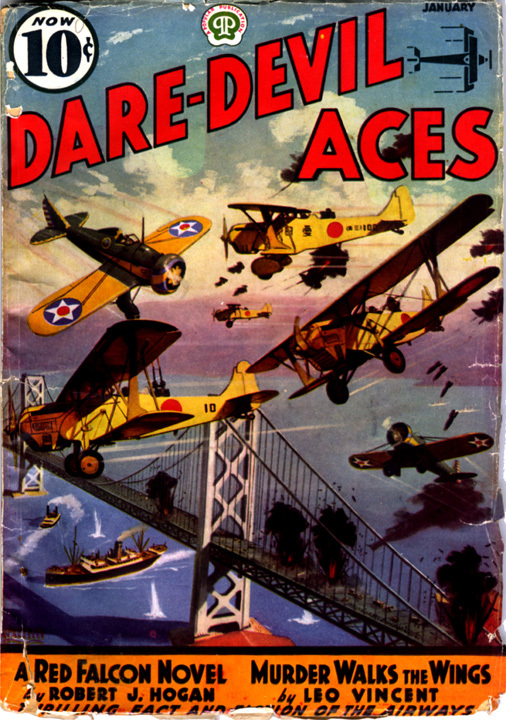 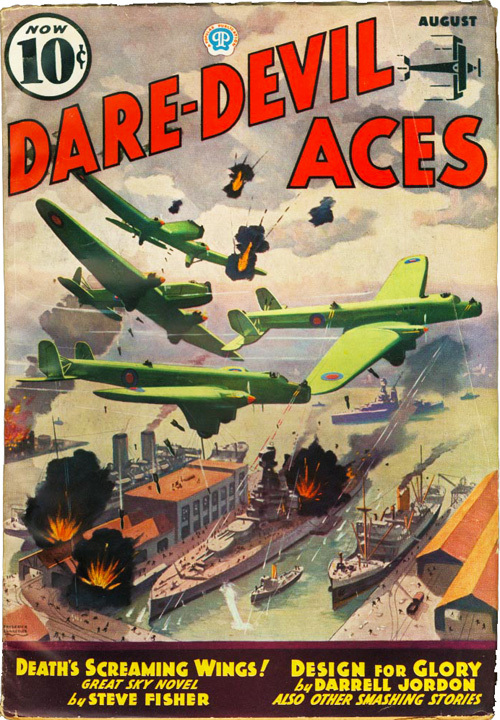 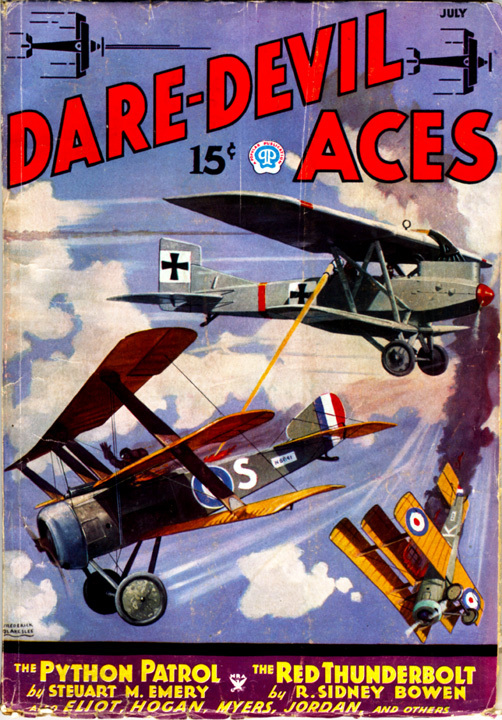 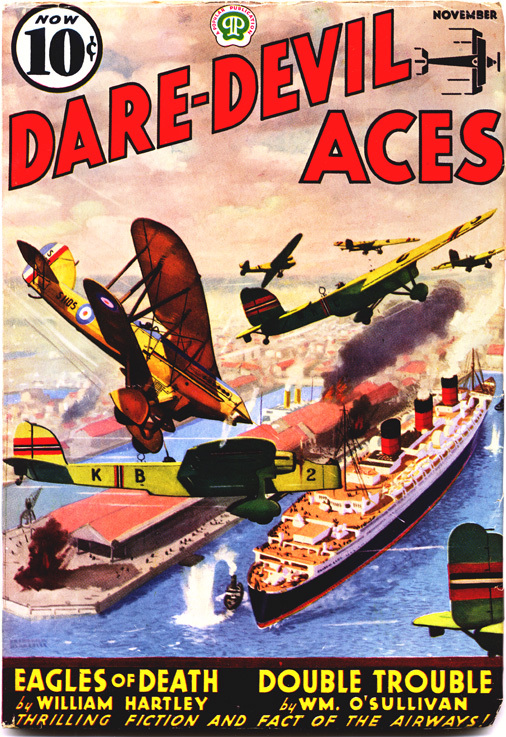 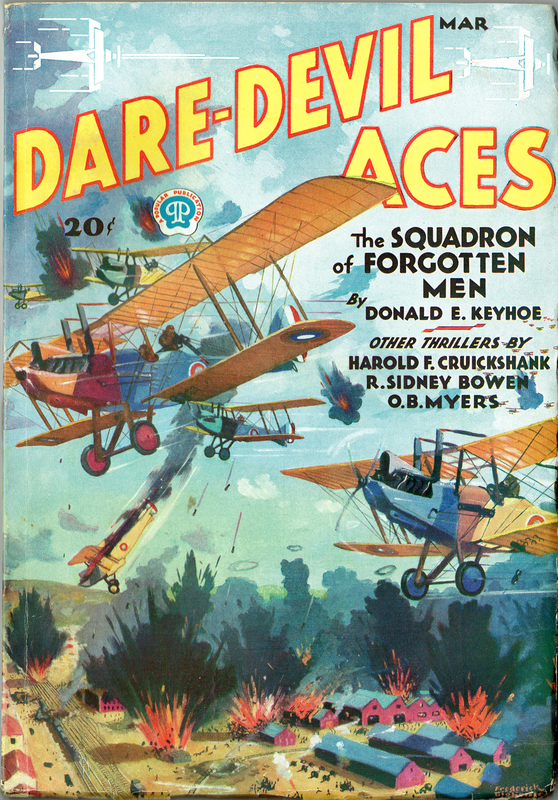 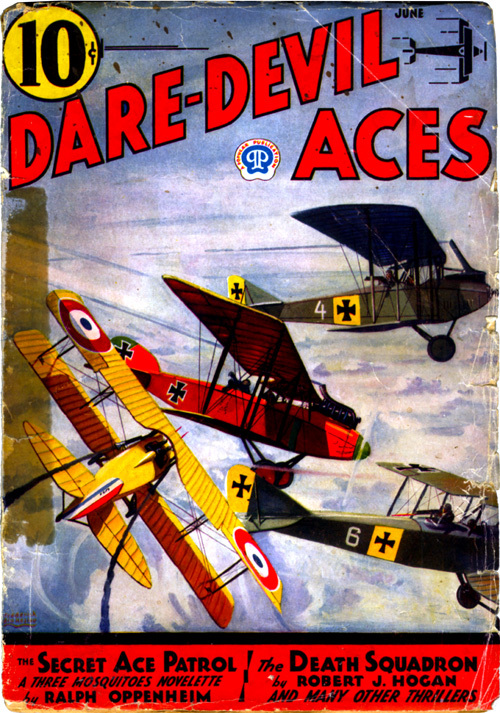 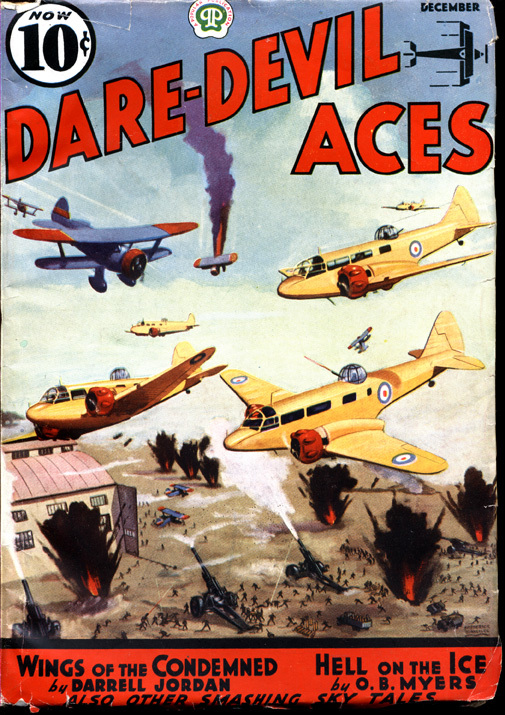 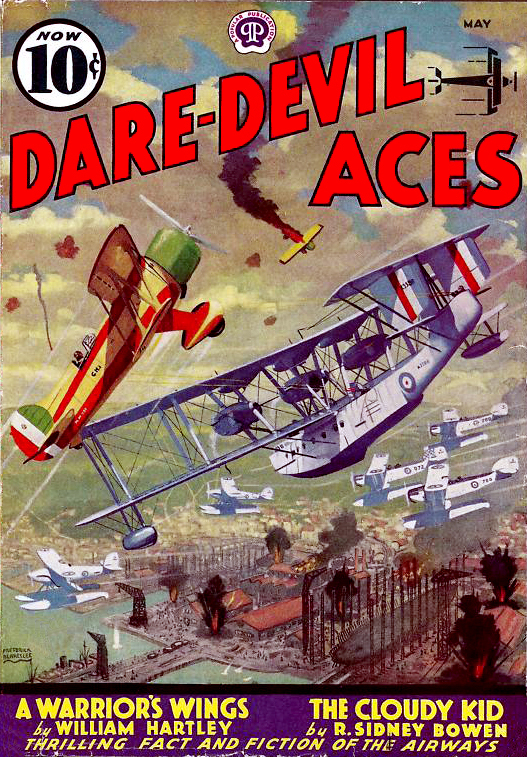 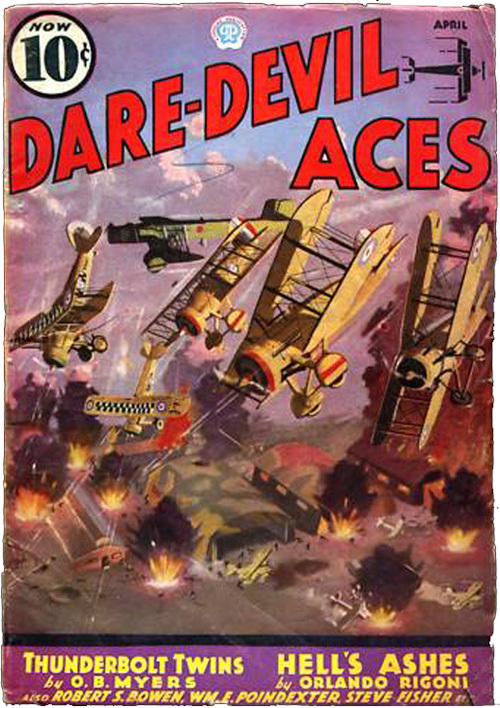 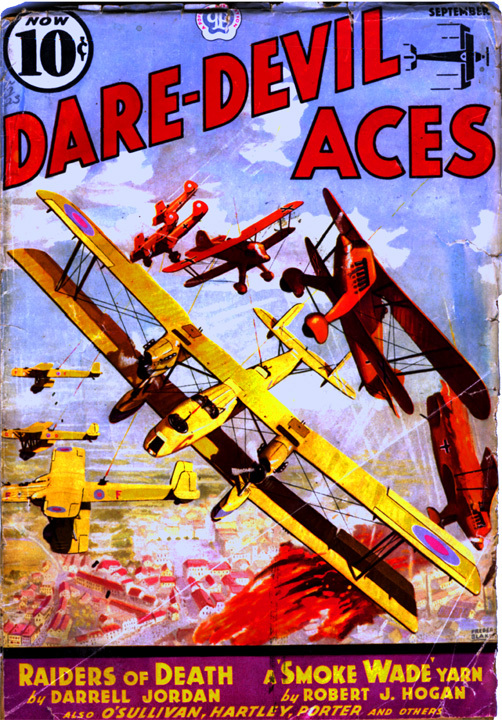 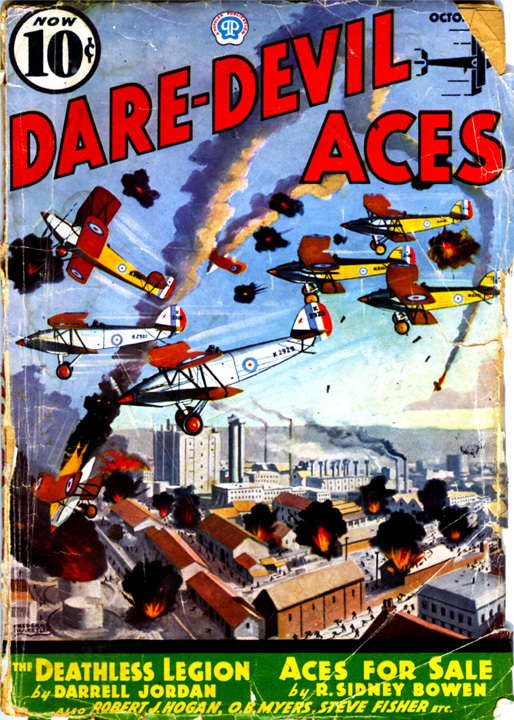 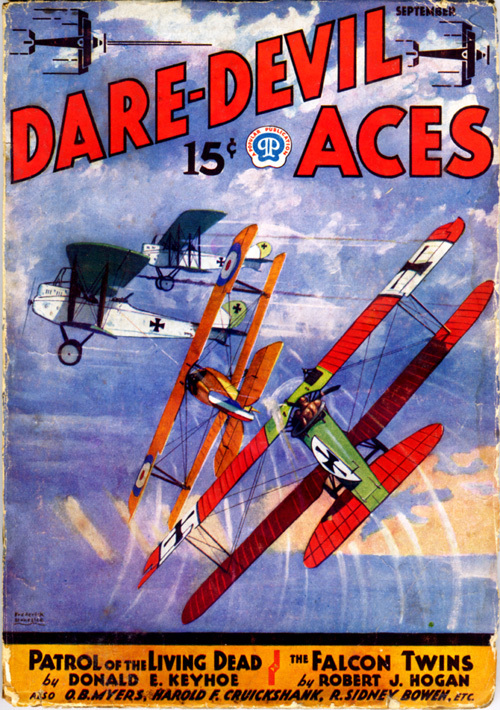 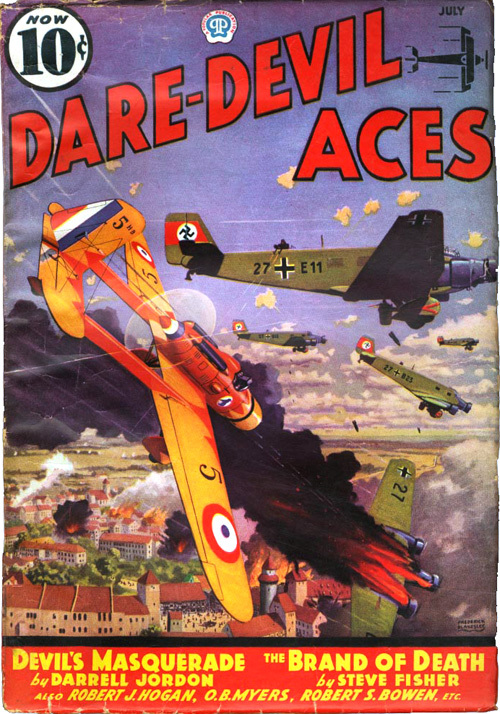 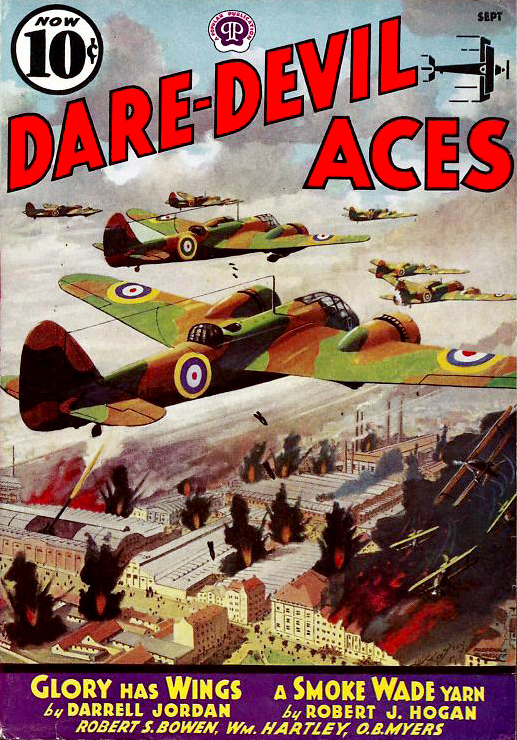 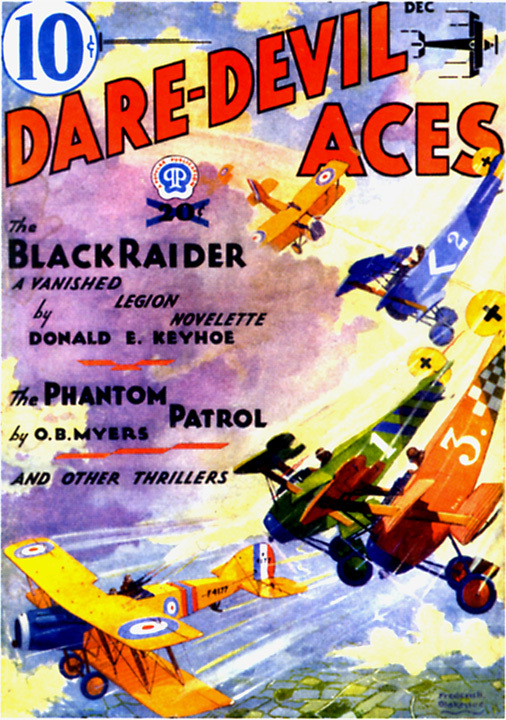 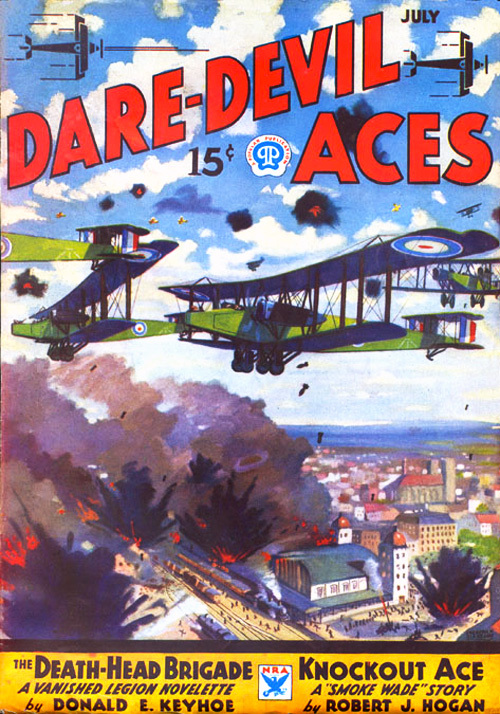 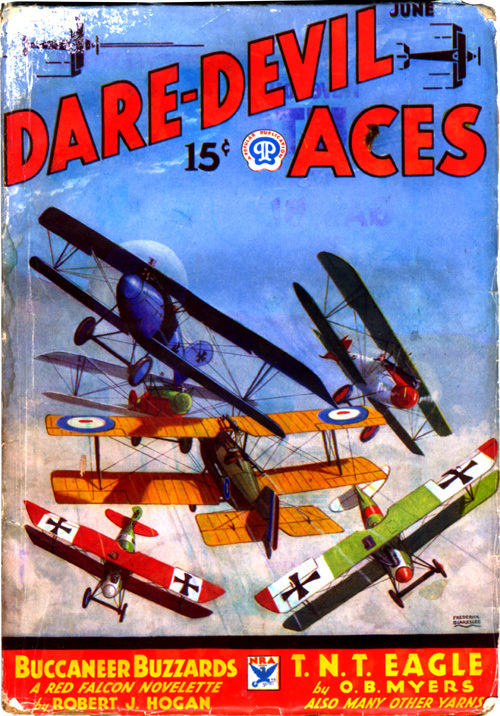 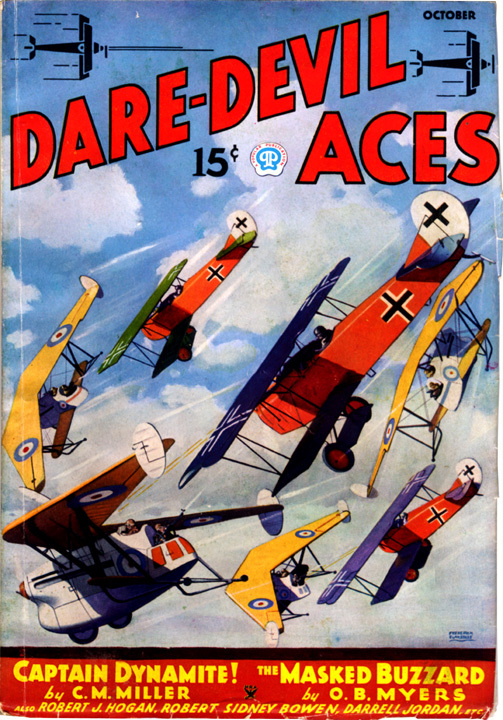 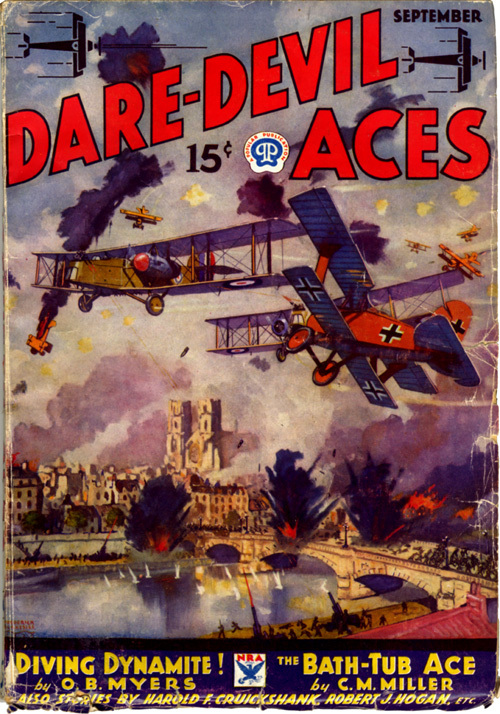 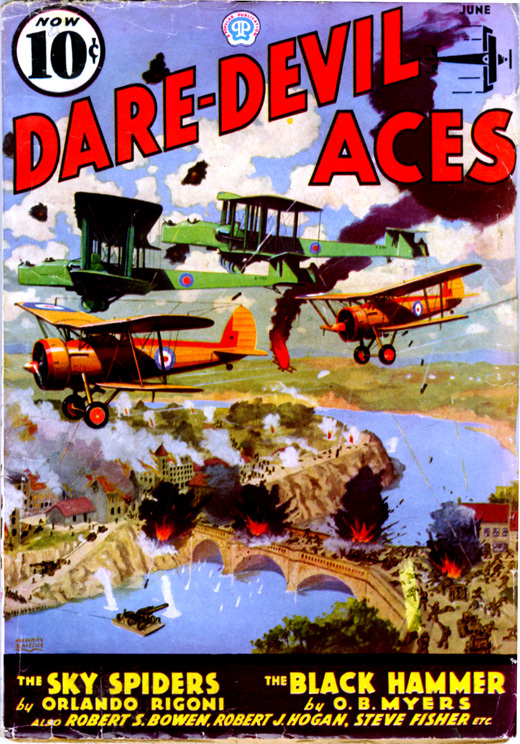 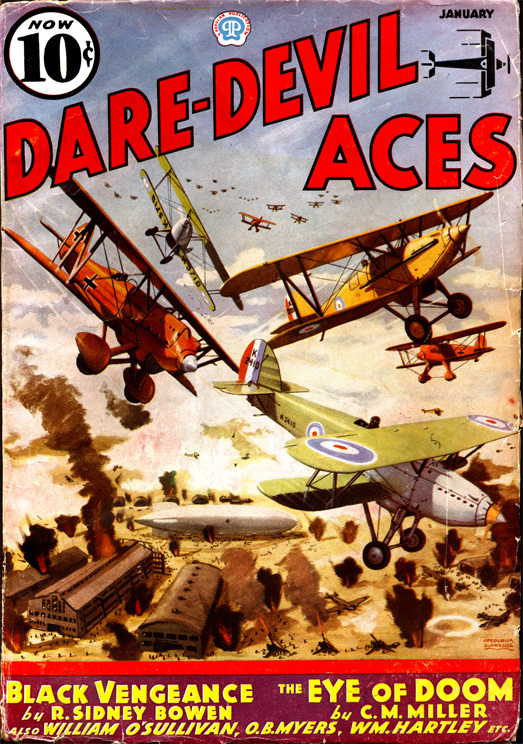 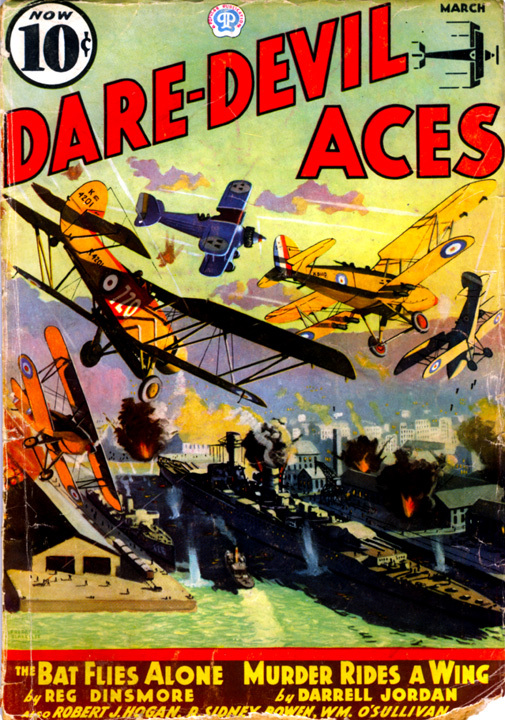 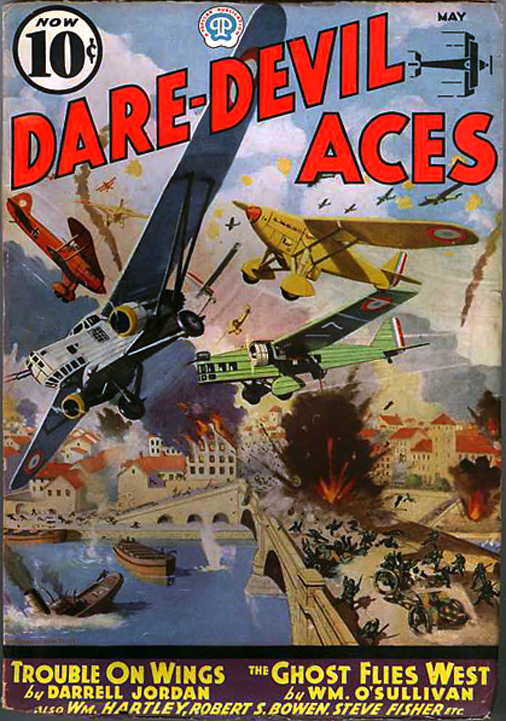 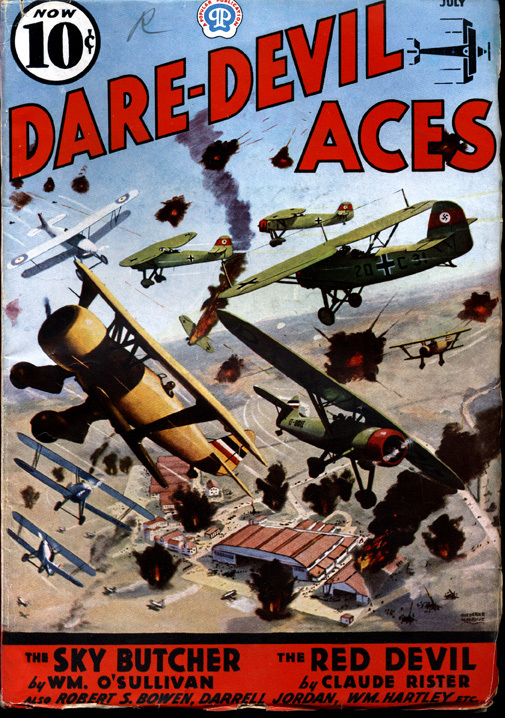 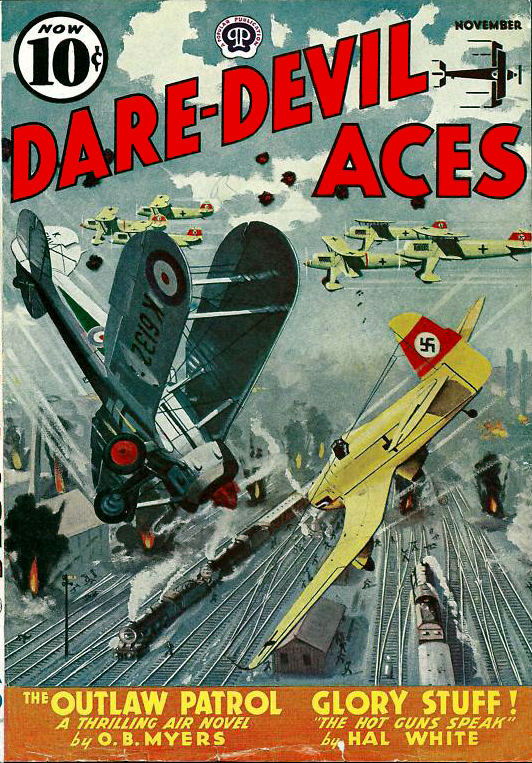 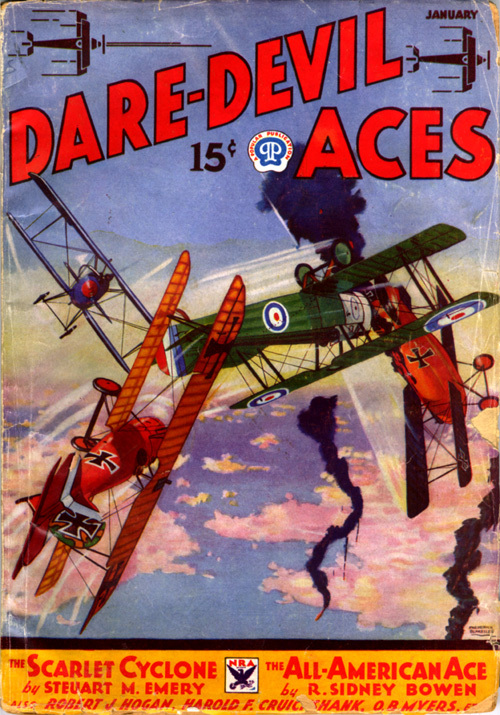 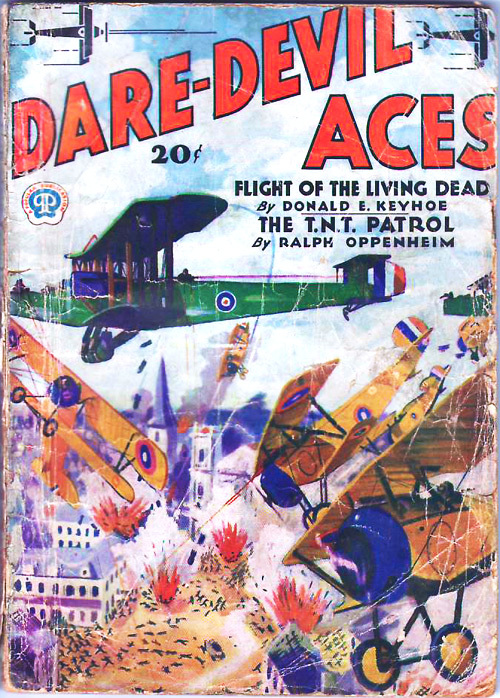 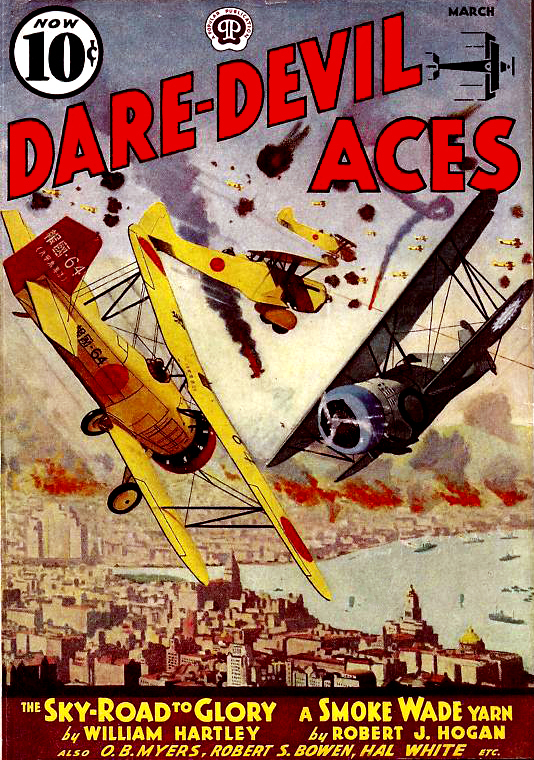 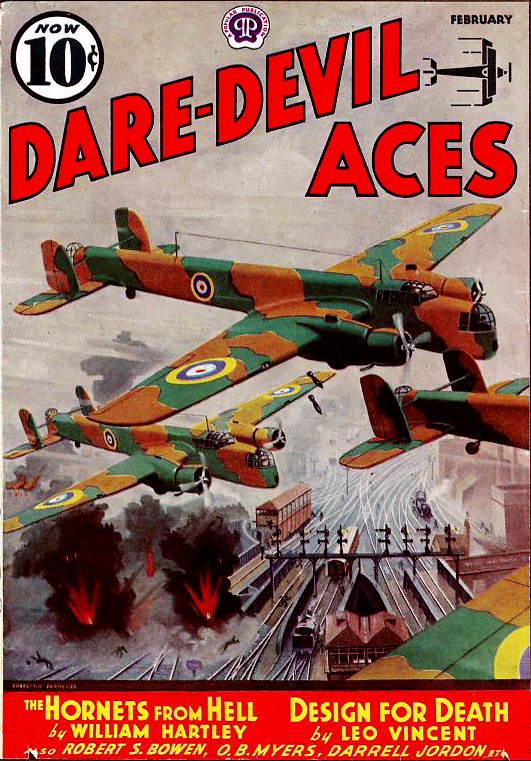 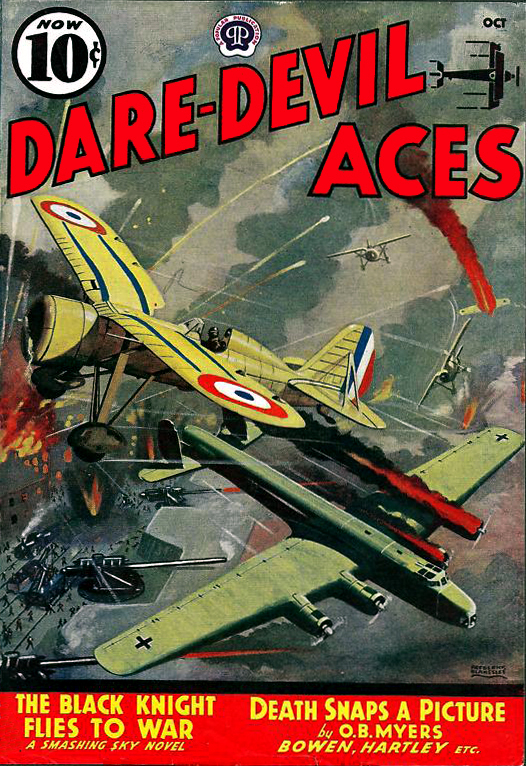 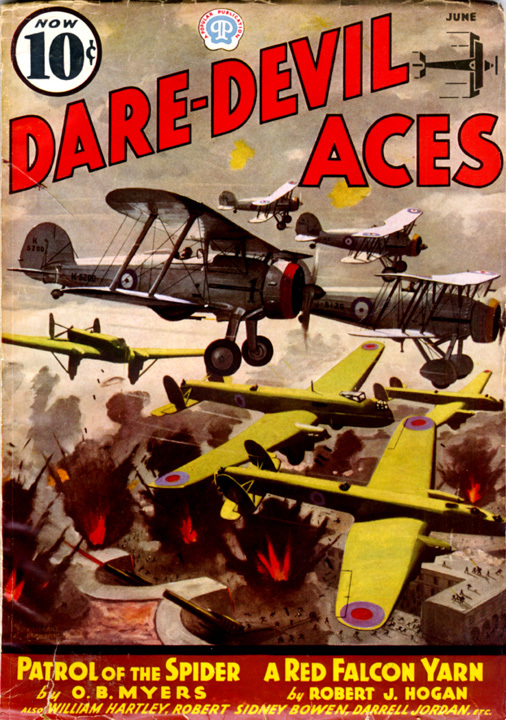 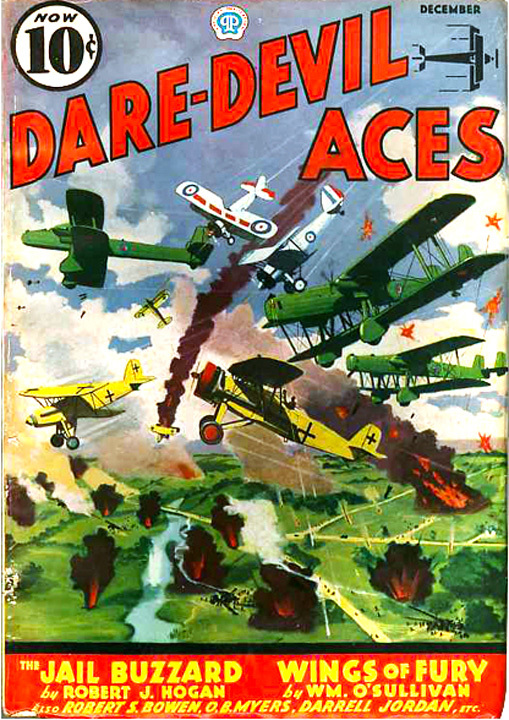 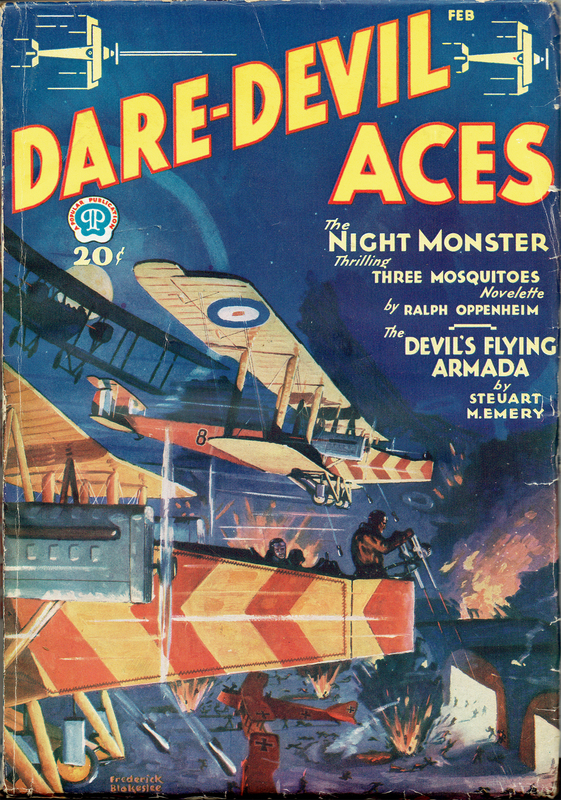 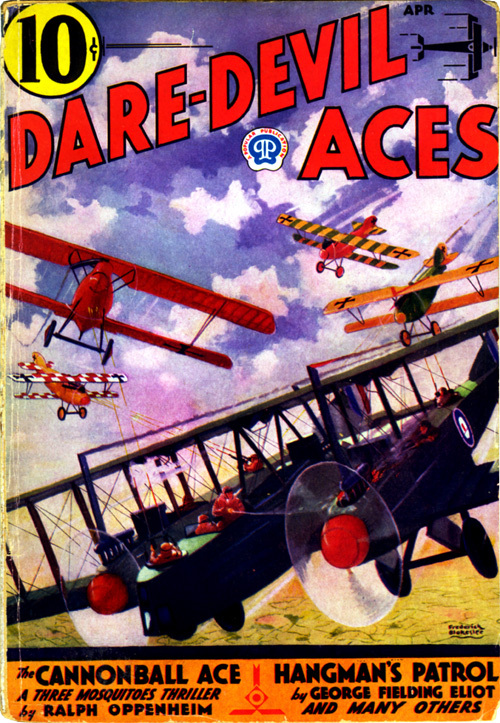 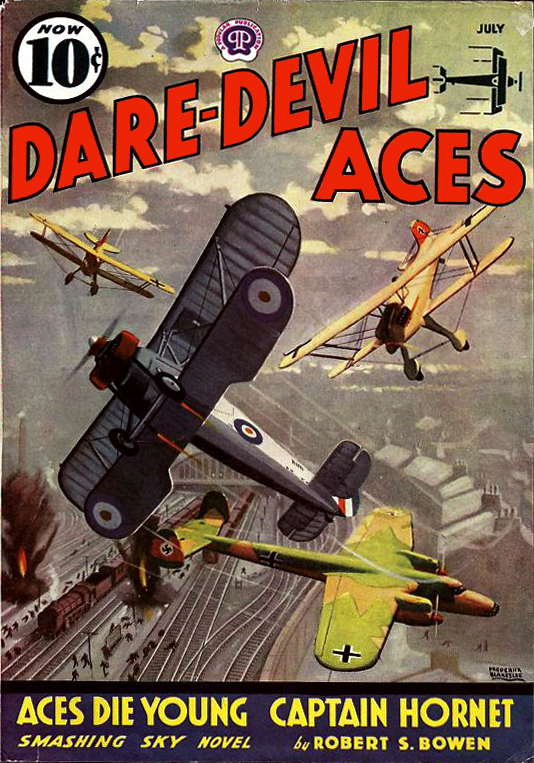 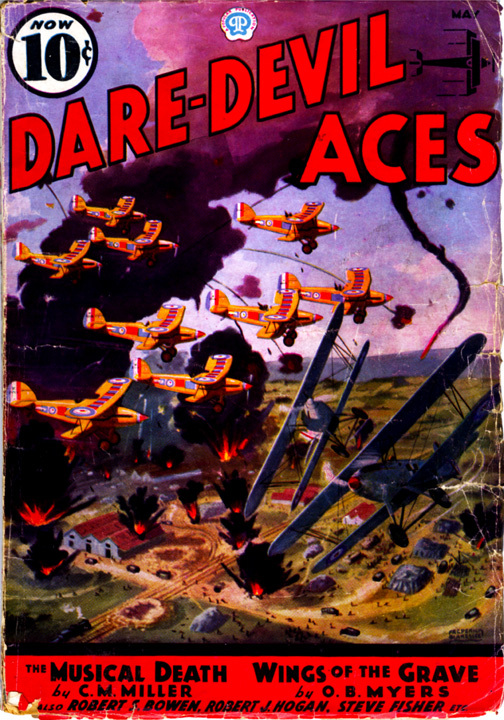 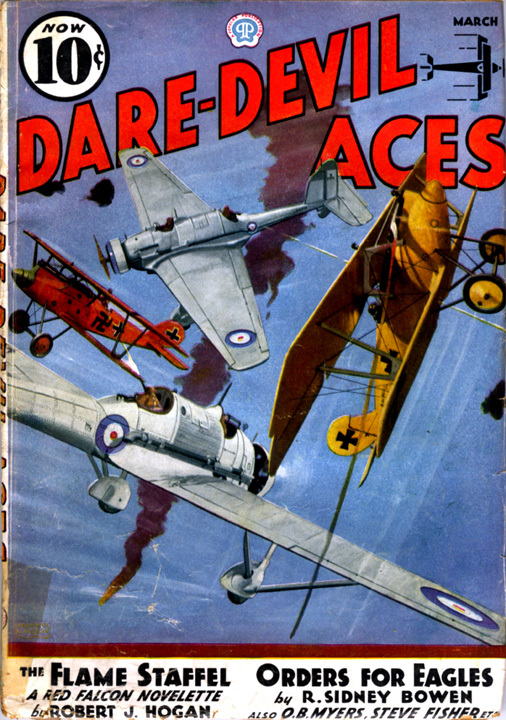 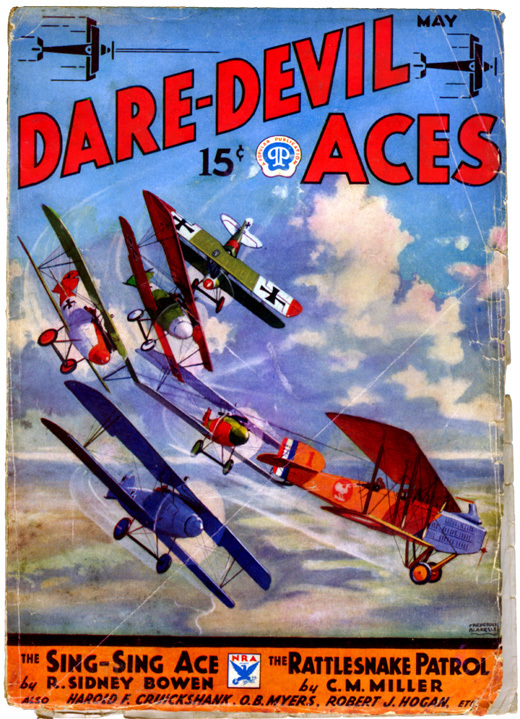 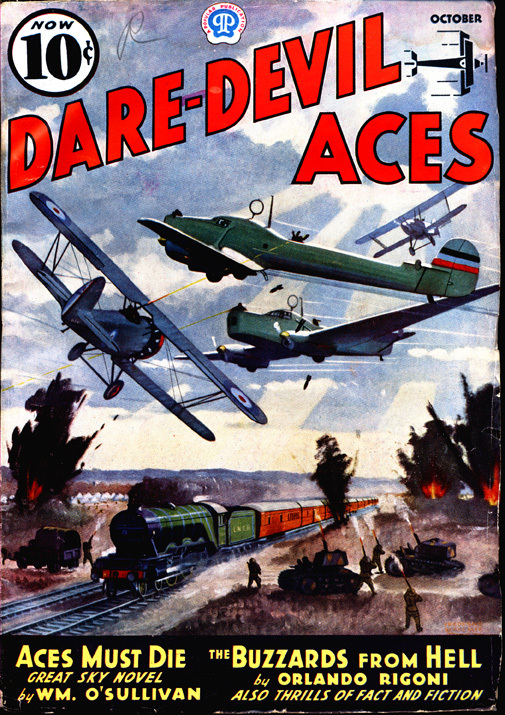 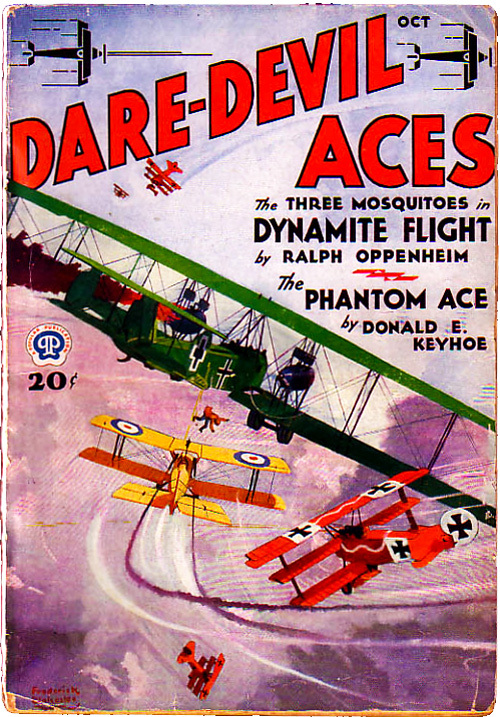 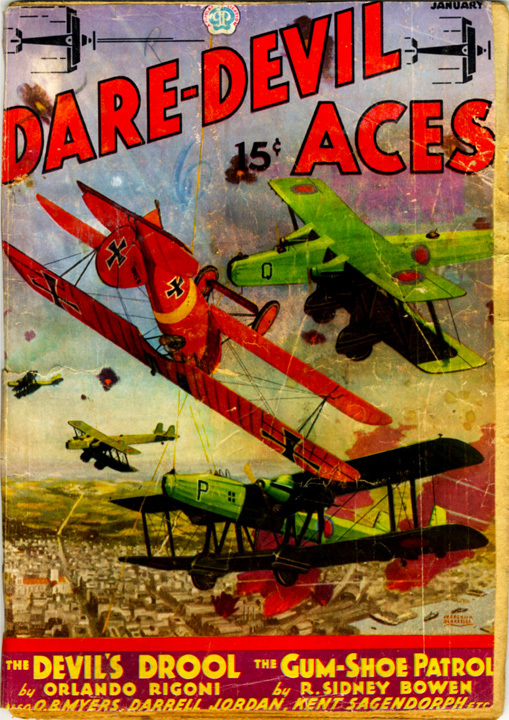 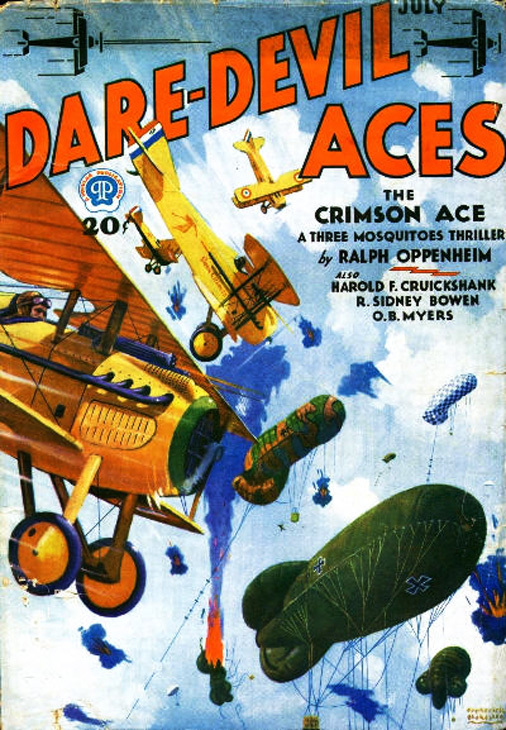 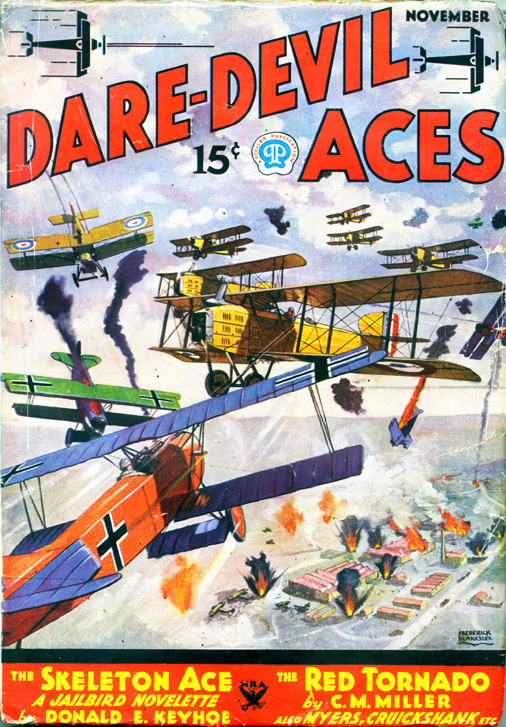 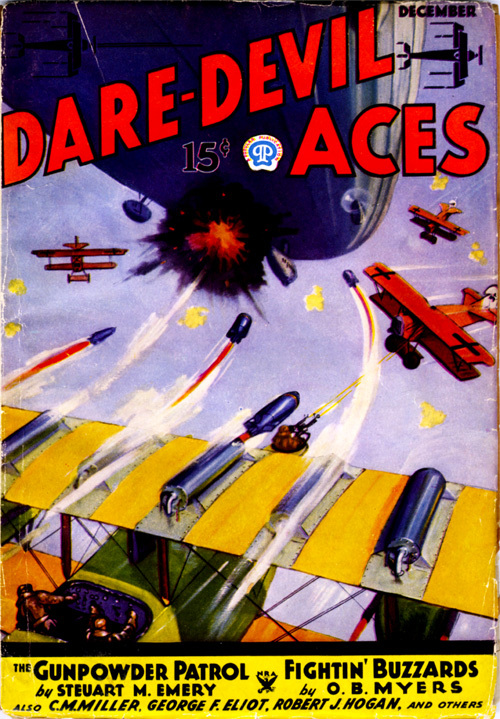 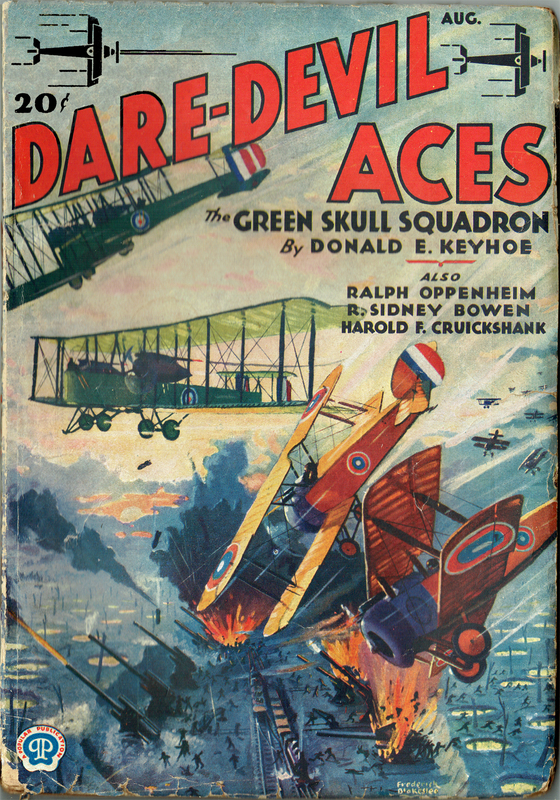 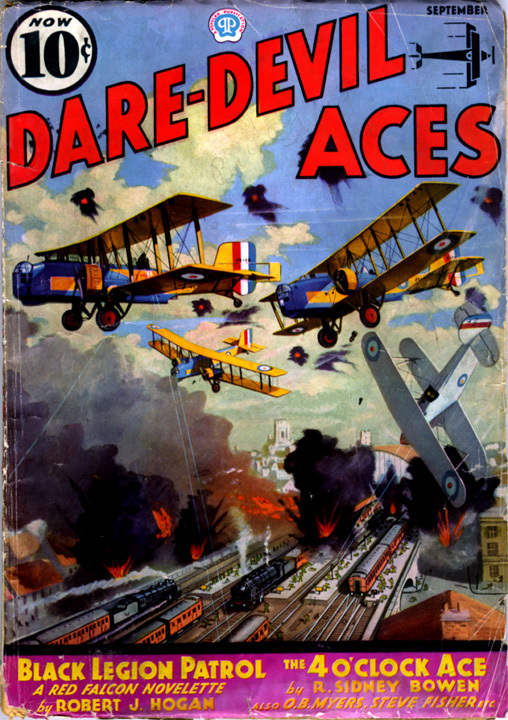 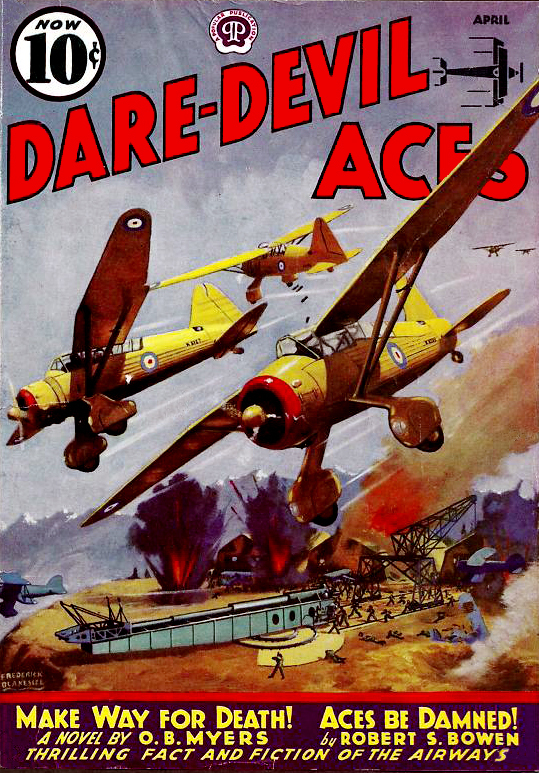 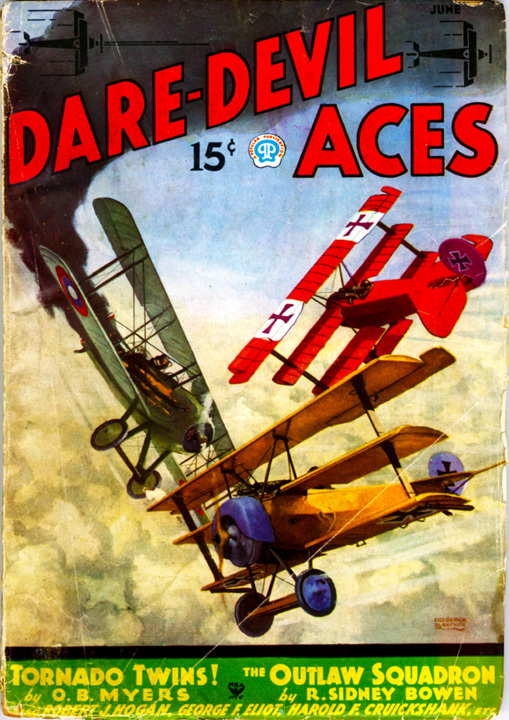 The covers to Dare-Devil Aces magazines were rarely specific to a particular story appearing inside, so when we got into doing reprints we had to decide if we wanted full-color but generic covers to our books, or character-specific covers with a limited palette. 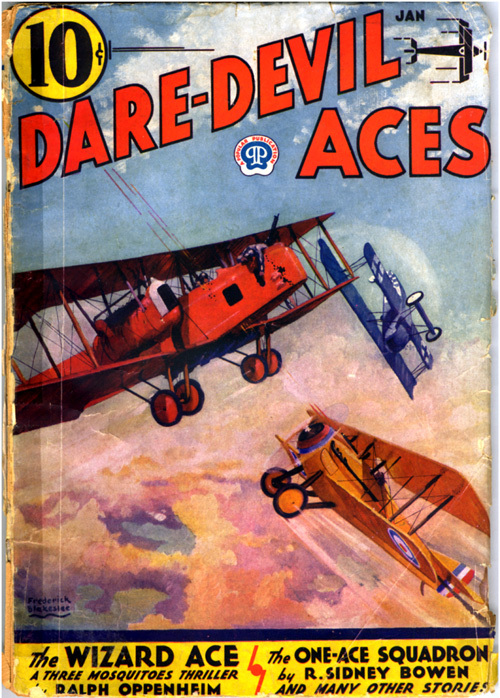 We opted to use Blakeslee’s black and white illustrations and give each book a signature color, which has become our trademark. 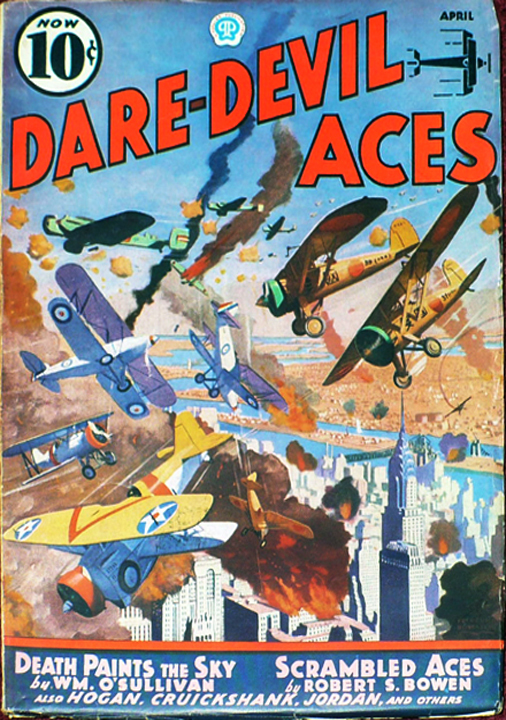 But with a website we can now display some of these sensational covers that ended up on the cutting room floor (albeit in 2mil mylar with buffered backing boards).